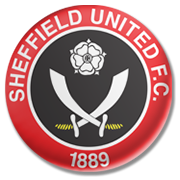 Fans at Bramall Lane will happily cheer on their team in the match against Aston Villa after Sheffield United manage to bounce back from being defeated in the first two games of the season to winning three games in a row, the last one against Bolton away in such a convincing fashion. Aston Villa beat Hull City and Wigan in the first two games only to draw the next three. They are one of five undefeated teams in the Championship so far. They have also managed to score in all of their five matches, netting 10 goals in total. Aston Villa are fourth in the table while Sheffield United in seventh but level on points with 6th placed Derby County. It’s a top of the table match with the Blades looking to defend their home ground against the hungry for a win Lions from Birmingham. We predict a tight game and an away win. David McGoldrick is an Irish international who was born in Nottingham, England on 29 November, 1987. McGoldrick was eligible to play for both England and Republic of Ireland and he decided to play for the Irish national team. The striker made his Ireland debut on 18 November, 2014, in a 4-1 win over USA and it has to be noted that he provided assists for Robbie Brady and Anthony Pilkington. McGoldrick began his senior career at Nots County and he played for the likes of Northampton, Bournemouth, Port Vale, Nottingham Forest, Sheffield Wednesday and Coventry City in the past as well. The Irish attacker he joined Ipswich Town on loan until the end of the 2012/2013 campaign and he signed a permanent deal with the club in July 2013. David McGoldrick scored 14 goals in 31 appearances for the Tractor Boys in the 2013/2014 Championship campaign and that is considered his most successful season. You should have in mind that his Ipswich teammates Daryl Murphy and Stephen Hunt backed David for his first-ever Ireland call-up.